Quizz Swanigan from Team Gwen sings ‘My Girl’ on The Voice Season 12 Live Playoffs, Tuesday, April 18, 2017. “I just love watching you perform. That was a lot of confidence. You already crafted who you are as an artist,” said Alicia Keys. “You’re magical,” said Gwen Stefani. The Voice Live Playoffs continue with Team Adam and Team Gwen. Half of the artists will move on and half will be sent home at the end of the show. Voting results will be reveled after the performances tonight. 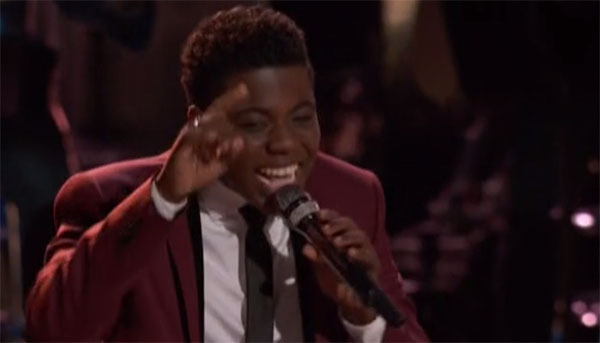 Did you like Quizz Swanigan’s performance? Share your thoughts on the discussion box down below.